When it comes to housing your server equipment Geek Racks has an immense selection of rack units to meet different business needs. But Geek Racks recognized that simply having the rack isn’t enough. There are accessories specially designed to help with your server area stay organized, cool and more accessible. 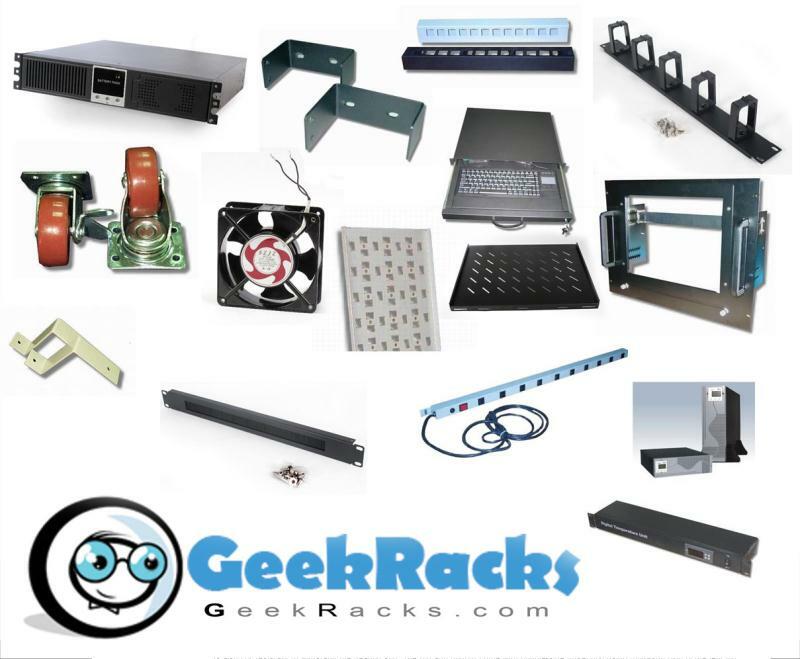 The Geek Racks accessories are manufactured with the same emphasis on quality as our well-made racks. Here you can learn about our current server rack accessory models and what they can bring to enhance your storage system. Adding extra working space to computer server rack cabinet while offers a sturdy platform for variety of server rack equipment. Fortifies the structural integrity of a server rack cabinet and improve aesthetics by blocking empty spaces. Secures cables and wires to better maintain the system’s over all organization and power accessibility. Keeps air flowing for a more vented server equipment area. Cooling fans function to achieve optimal server temperature to avoid overheating and loss of data. These KVM (keyboard-video-mouse) consoles are hardware displays to control server equipment. KVM storage and mounting options. Uniterruptible Power Supply units for the ability to provide an electrical firewall between the incoming power and electronics it is powering. Geek Rack compatible replacement parts.